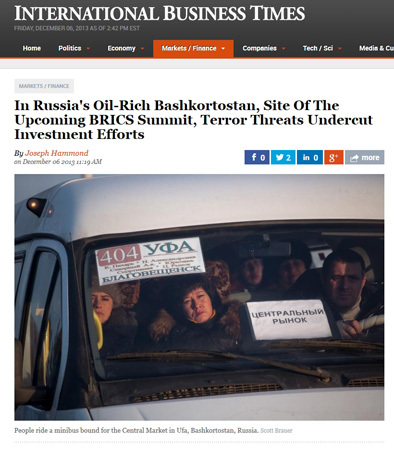 International Business Times has just published a handful of my images from Bashkortostan to accompany Joseph Hammond’s piece on region: In Russia’s Oil-Rich Bashkortostan, Site Of The Upcoming BRICS Summit, Terror Threats Undercut Investment Efforts. The images were taken last December as part of the International Center For Journalists’ first US-Russia Young Media Professionals Exchange, in which both Joseph and I took part. You can see a fuller edit of the pictures on this site or my archive.